Welcome to the Triumph Trophy Forum ! The number one Forum for Triumph Trophy Owners ! 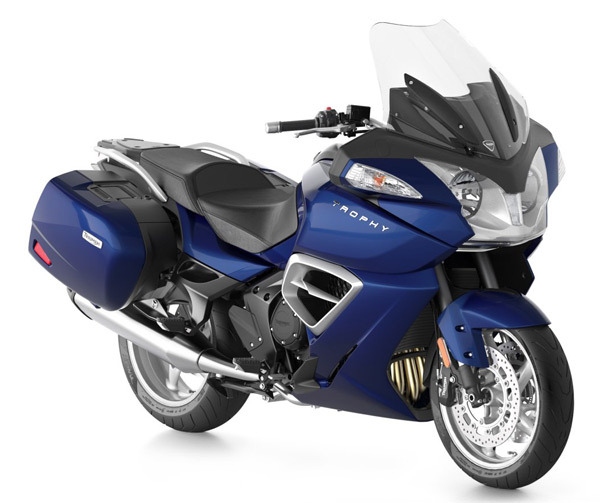 This totally independent site is devoted to the Triumph Trophy 1200 that made it's debut in September 2012 as one of the new models in Triumph's 2013 line up - a 1215 cc triple utilising the same engine as the Tiger Explorer. The site aims to be a resource where owners can discuss issues with others in the 'Forum', take a look at owners bikes in the 'Gallery' and generally find out more about the "Triumph Trophy". We will also have technical information, articles, and a wealth of experience from owners worldwide, making this the number one motorcycle club for the Trophy 1200. If you are thinking about buying this bike from Triumph then this will be the site for you!